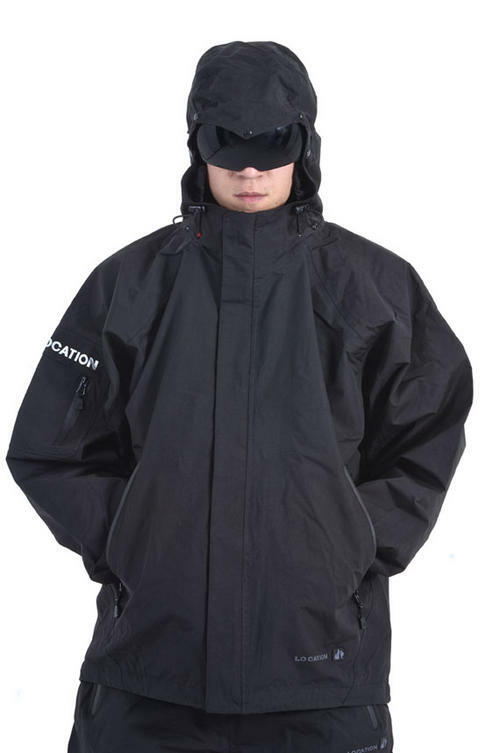 Location Storm Trooper Visor Jackets feature an adjustable hood, removable visor and stow-away balaclava. Taped Seams - Strategically placed seam taping providing extra protection against the elements. 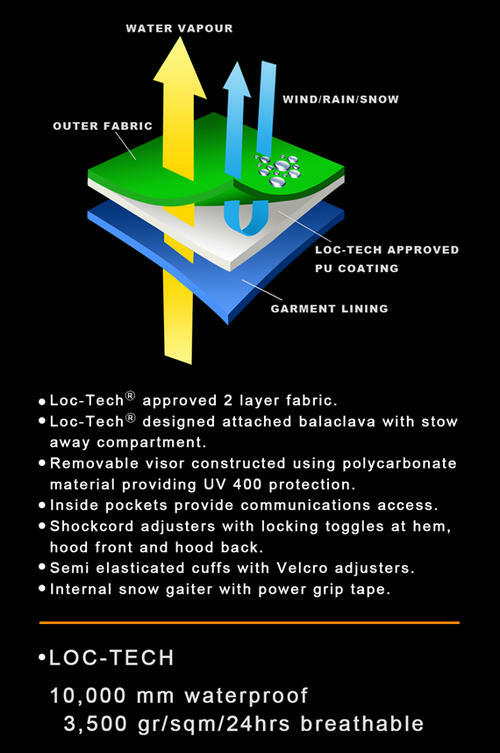 Windproof - Use of densely woven fabrics. Waterproof - Specially selected fabrics for outdoor pursuits. 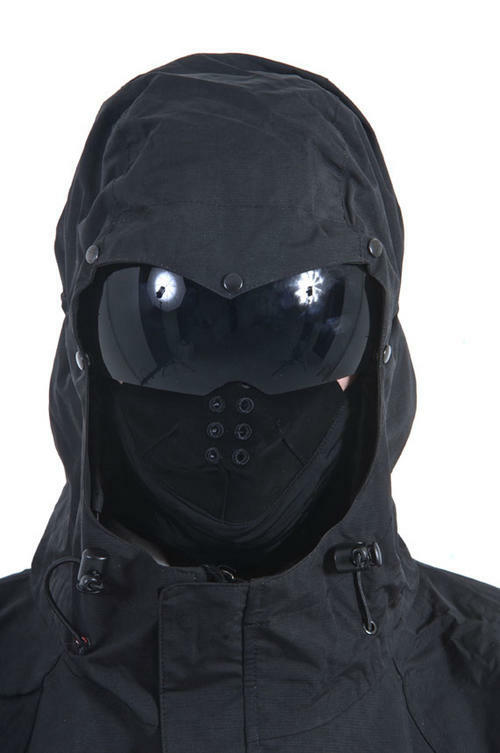 Breathable - Special coating on fabric allowing perspiration vapour to escape. Location - Designed for outdoor performance with style.